At the Communication Queen we tailor our workshops to YOUR business NEEDS. Every business has very specific requirements so we do an analysis of your communication gaps and facilitate a workshop specifically designed for YOU. Workshops and trainings can be as varied as your business. From Leadership and mentoring, conflict negotiation, personal development, reaching KPI’s, time management, creating Sensational Customer Service and much more. 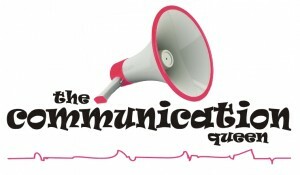 At the Communication Queen we believe that people need to know why they do something as well as how to do it. Specifically within the Hospitality sector the spot light is on YOU! We have over 30 years experience within the Hospitality industry both internationally and within Australia. We not only know the challenges, but understand the challenges that live in the Hospitality industry, giving us a deeper ability to service your needs and most importantly of all.. Speak your language. At The Communication Queen we don’t preach text book strategies that belong to generalist coaches and trainers, we share what we know and help you implement real world strategies, through over 30 years of experience. That’s the difference you get when you work with The Communication Queen. We are passionate about getting your mix right and we do so by looking at all the elements in your business and designing an action plan specifically for you. Then when you’re ready head across to the “Contact Us” tab up the top and get in touch today.